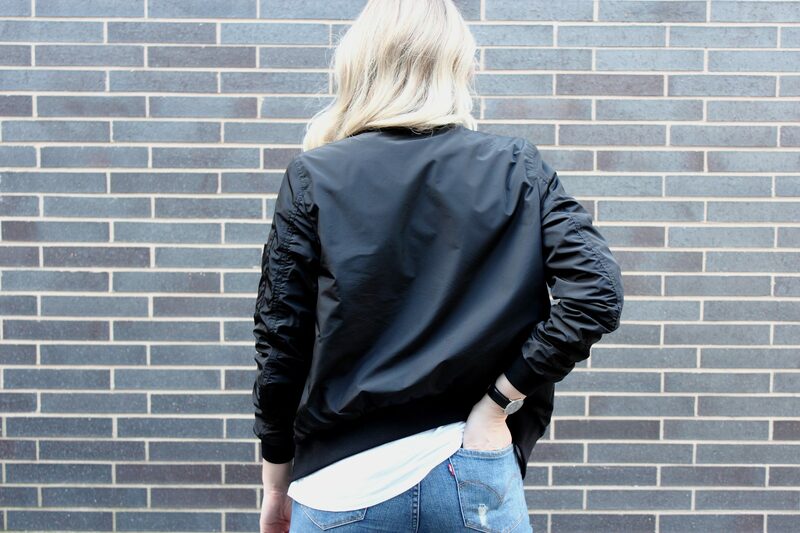 This week I am sharing my current obsession: The Verena Bomber, Mackage. What may appear a late entry into the Toronto bomber jacket game, is actually a thoroughly-planned, well-researched, and brand-devoted purchase. The contemporary brand itself has and continues to create timeless statement and staple pieces that are silhouette-complementing, long-lasting, and detail-centered, making this bomber rain jacket no different. As somebody who does her homework and openly protests against impulse buys, I whole-heartedly appreciate this outerwear piece for its versatility, as it compliments any casual or dressy look; comfort, as it is light in weight and is wrinkle- and water-resistant; and elegant quality, as it adds genuine leather and nickel zipper details to the classic bomber style. Hope everyone enjoyed this casual and chic look!